Snacks are an important part of anyone’s life, but they take on even greater importance when you become a parent! We don’t realize how much we actually snack during a day. As a stay-at-home mother (who never stays at home), I am always on the go. Consequently, my toddler is too. While I am not sure if it is a good thing, we have an active lifestyle and need to have snacks in tow. Having a child makes me more responsible about healthier snacks than I ever had been before. I remember the picture from my past career life - about 10 years ago - sitting at my computer desk for at least eight hours straight, six days a week, sipping several mugs of coffee a day, snacking on a variety of cookies with occasional chocolates convincing myself, “Well, working in audit/accounting, my brain works a great deal and it needs energy for thinking so much so the sugar is definitely a must!” I can’t believe I used to think that sugar is beneficial to my body! More importantly, I can’t believe I survived on that diet with no exercise, just long hours at work. I know there are millions of professionals, stay-at-home moms, teenagers, and others who are extremely busy and don’t pay attention to their snacking. Maybe they are too busy, maybe they think they have no other choices or they think they are healthy, for now. Everything you put in your body leaves an imprint on your health and I would like to share with you a few helpful snack ideas. If you are able to make it your routine, you’ll be better off in the long run creating a younger, healthier, beautiful self! * Avoid the bakery/dessert section in every grocery store at all costs! * The nuts section should be your favorite for snacks, especially raw nuts. The intake should be a maximum of a hand full. * If you have sweet tooth like me, you can start by having fruits, sweetened nuts or dry fruits and then gradually reduce the amount. Nuts are tasty and easy to pack or store in your cabinet, purse, or car. * Avoid vending machines at work at all costs! There is no nutrition in them. * When you are hungry and have nothing else in your drawer but cut vegetables – you’ll be happy to eat them! Just try it. 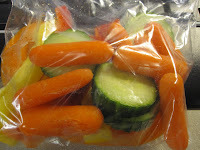 Cut them up at home (you can buy already cut veggies like small carrots) and bring them to work. As an experiment, I once brought a bunch of veggies and dip for a three hour drive with my business partner and I thought we wouldn’t touch them. To my surprise, we ate all of it in the very beginning of our trip. It turned out no one had the time to eat before the long drive. In this case, people usually drive through a fast food chain. They think, "Oh, it's just today I'll eat here." because it is so important to save time and be efficient. Unfortunately, this scenario will repeat itself until you say, "NO" to fast food restaurants and, "Yes" to veggies! It is hard in the beginning, but later on you'll think that your favorite fast food sandwich tastes like poison. Needless to say, I was happy I didn’t bring chips or crackers to that trip. Btw, I do put these snacks to my salads to make them testier – dry apricots, cranberries, all kinds of nuts, sunflower seeds, sprouts, etc. 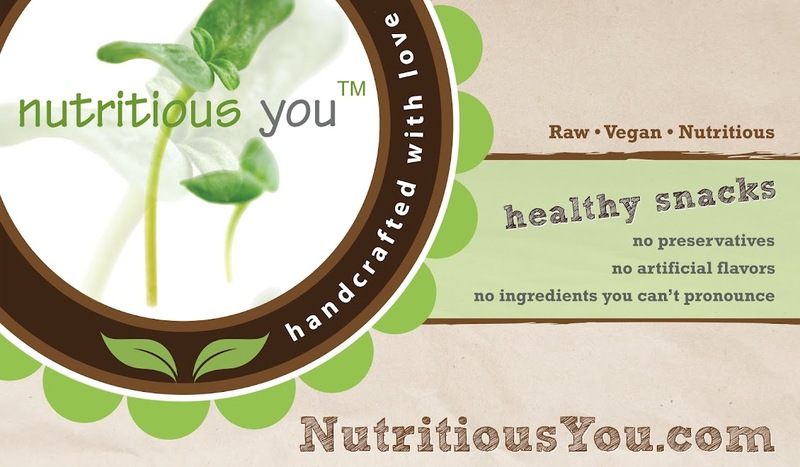 Stay healthy and surround yourself with nutrition! Your active body needs it.